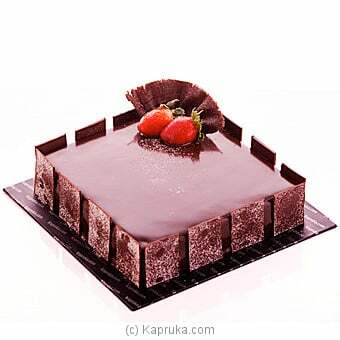 For all you chocolate lovers out there, Kapruka Cakes offers you a soft, rich chocolate sponge cake, filled with strawberry icing and topped with buttercream and ganache. Our premium chocolate fudge is a perfect square of 6.5 inches and weighs 1kg (2lbs). It is the perfect premium solution to your deepest chocolate desires.